Remote control software is an operating system feature which allows a personal computer’s desktop environment to run remotely on one system by being displayed on separate client device. This feature has made a mark in industry as well as for personal use due to its ability of connecting with multiple computers within a single network. There are various different brands as well as versions of Remote Access desktop software available which can provide the rights that one need as a business owner. By installing remote control software or remote access software on your personal systems/laptops like TeamViewer, LogMeIn, GoToMyPC etc. allows you to access other computers remotely from other location through the internet. First you need to install and set up the software and after that one can access the computer from any location. The main reason behind why remote desktop software is preferred by most of the entrepreneurs over other programs as it is easier and cheaper to maintain when compared with other available options. It would be more helpful if one pays to a Web Hosting company for keeping the system up as well as smooth running. You just need to have your client workstation and monitor and else other things can be handled by the hosting company itself. While connecting through remote control software, both the system need to grant request for connection and so security is not considered as a major issue for this. The email systems are monitored carefully as well as examined before sending data to the recipient’s workstation. One of the major advantages for having remote control to both business as well as personal use is the lower cost of maintenance. There is no need to buy any kind of expensive server equipment or hiring an extra staff for monitoring the system. Any of the IT specialists can set up the software program trouble-free. Even though there are lot of remote control hosting solutions claiming to provide full security against loss of data and other kind of thefts, sometimes hackers can crack into the system resulting in stealing some of the important information. Hackers can even send viruses and other kinds of unfavorable bugs into your system just to create havoc inside the system. Just be alert and use only those programs which you consider as the most secured one and that too for sensitive and crucial data. 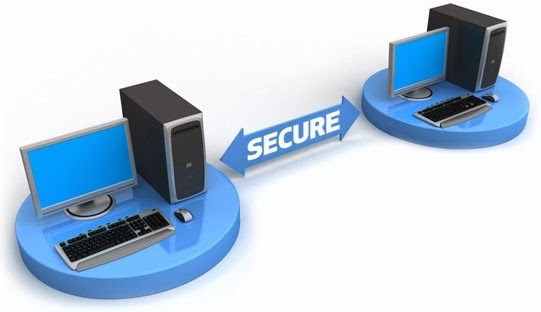 Along with today’s improving technology, majority of the people turn to remote access control software for providing access to their computers. This software provides you an easier and faster medium for business transactions which ultimately leads them towards the increased profits. As this software provides the functionality for business owners to access their data as well as communicate with the employees without being going to meet them face-to-face, it reduces the hassle and time by allowing quick interaction. Being away for different business trips worries the entrepreneurs as they are not able to join them more frequently and so they need to ask somebody else for managing their business temporarily. The remote control application allows them to view all the documents as well as applications and allows handling them from their mobile workstation. This is how remote control software helps many of the business owners as well as organizations to manage their work remotely from distant regions.